Today we chartered a private limo and boat for Mum's 70th, a repeat of our 2007 voyage. Setting out from New Port Richey out past some very posh housing and out to sea to a sand bar, where our chef was preparing our BBQ. We rented some jet skis today from Woody's Watersports and headed out to the Gulf of Mexico. Unfortunately it was very rough and we couldn't get up much speed and every time you slowed huge waves came over the jet skis! Parasailing a 70th Birthday First! We all decided to go parasailing today from St. John's Pass with Gators Parasail. Not as bad as the reviews would have you believe, but this is still Lawnmowerman updated for the 21st century! 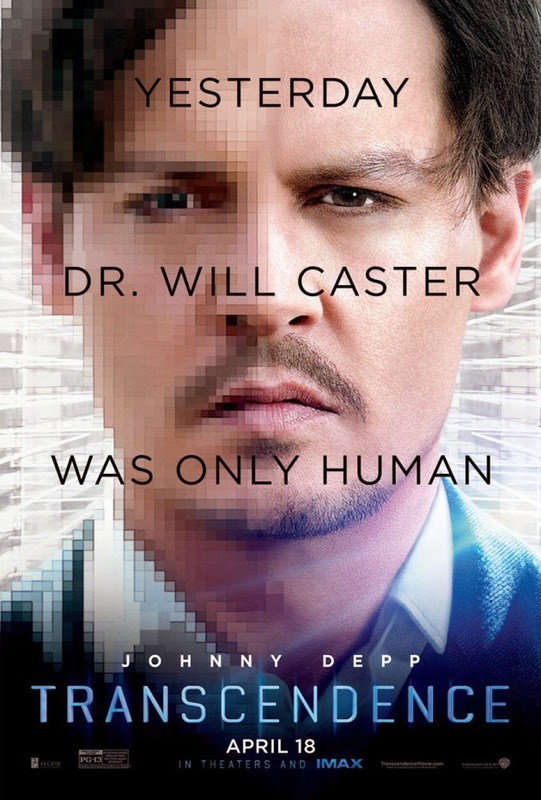 Depp plays a scientist who is perfecting A.I. and then gets shot by a fanatical group. His wife, who is slightly obsessive, plugs in his consciousness and unleashes him on the internet. With all the power of the world's computers at his disposal he starts out inventing life saving inventions, but then he goes a bit too far. This is a slow burning movie, but it does make you think what happens when we take technology too far and who has control over it. We're on our way to Madeira Beach near Tampa, and surprised Mum in the air with birthday champagne and cupcakes! Had to nip to see this before we head off on hols, as it opens later in USA and we'd have missed it. Unfortunately it wasn't really worth it. While Andrew Garfield is a better Spider-man than Maguire, the story doesn't really hang very well. Its just seems a bit broken and bitty, with long love story scenes between action, plus a baddy that isn't that bad. There are also too many bad guys again with Electro, Rhino and Green Goblin (for the third time yawn), two of whom are ejected very quickly. 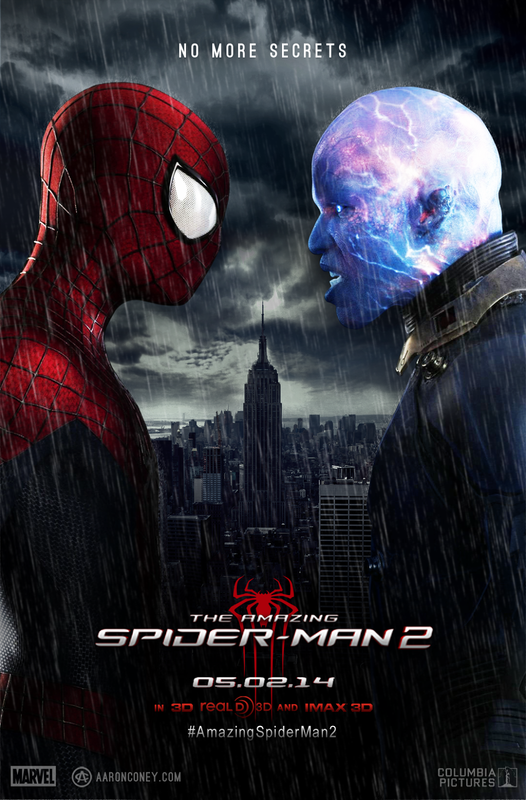 What is good are Spider-man quips, the action scenes are fairly steady and you can see whats going on, plus the 3D is actually pretty good, with some web swinging sections. If this wasn't a biblical story I'd have a very hard time believing it, as it would be in the realm of unrealistic sci-fi almost! It starts out with a very quick recap of the Adam and Eve story and how man went a bit off the rails and caused 'the creator' (never referred to as God) to wipe us all out with a flood. 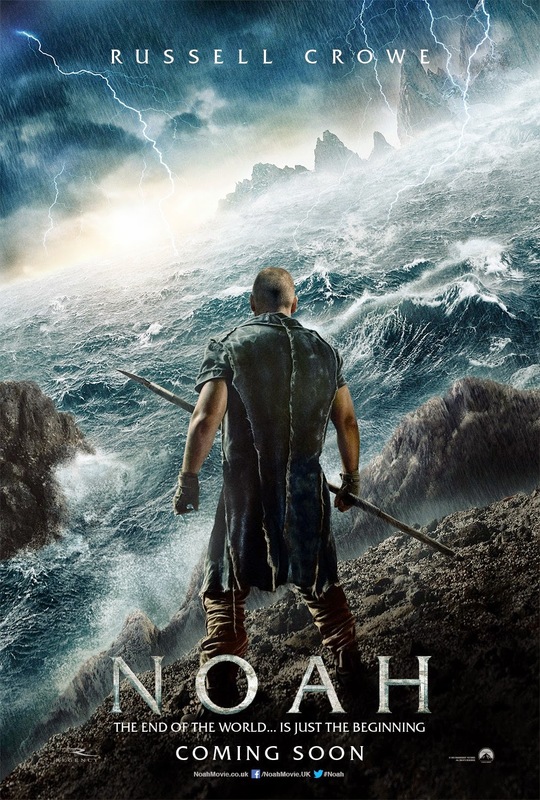 You then have fallen angels stuck in 'rock monsters' trying to help Noah build his ark, and the animals are draw in two by two, but so is 'man' who wants to kill Noah and take the ark to save themselves. This leads to a big battle with the rock angels protecting the ark before the flood hits (I'm sure none of that is in the Bible!). Ten months at sea later, the animals sleep all the time and don't need feeding, and supposedly the only humans alive are 2 baby girls and their uncles, not a great scenario for repopulating the Earth, hmmmm. The film starts out well, and the angels and ark are all well done, it just starts dragging quite severely about half way through. So this movie starts out with a song about the sequel and gets zanier from there on in. It's a story about a Kermit look-a-like master criminal who goes infiltrates the Muppets, so he can stage shows next to banks and museums so he can rob them! Being pursued by a bumbling FBI agent and the French Interpol who has long lunches and finishes work at 4. 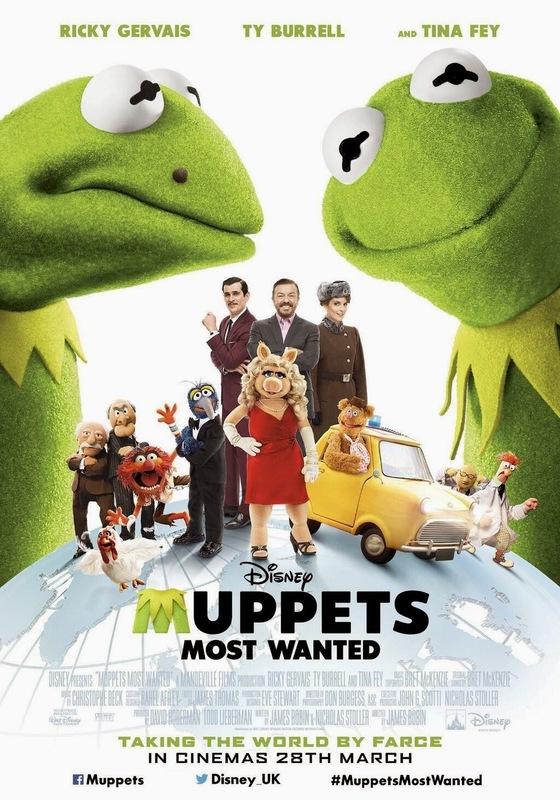 The Muppets amuse, while some of the characters are seemingly ignored, but there's a little too much Ricky Gervais for my liking, with his smarmy greasy attitude. We all descended on Gareth and Sarah's new pad this weekend. The weather took a turn for the worse and scuppered our plans to goto the petting farm, but we did indoor play, saw the new Muppets Movie and went ice skating!